The Essence Festival is “the party with a purpose.” This annual music festival celebrates African-American culture in the United States. Started in 1995, this festival has continued to grow each year. The 2018 festival is no exception. With musical performances from Janet, The Roots, Snoop, and many more, this year’s Essence Festival will be an event to remember. Right now is the best time to book your travel arrangements to this epic music festival. This list will help you find the perfect travel agent for essence festival 2018. Below are the top five local, New Orleans travel agencies ready to help you with hassle-free arrangements that will let you party more and worry less. The first travel agent for Essence Festival 2018 on our list is Travel Central. Travel Central is located in the New Orleans-Metairie area. The agents at Travel Central have been dedicated to serving adventurers since 1988. They provide full-service planning for your trip, including booking hotels, flights, cruises and more. As part of the Signature Travel Network, Travel Central taps into a large collection of destination specialists that can help to make your trip a “once-in-a-lifetime” experience smaller travel agencies cannot. HCB Travel is the only certified autism travel agency on the list. The staff at HCB Travel are proud to help anyone, including those with special needs, create a custom adventure. Their motto, “Only the Good Life” is a creed they apply to any travel arrangements they make. Holly Beeson, the owner of HCB Travel, takes pride in the services she is able to provide through her years of experience and personal connections all over the world to ensure customers get the best deal for their budget. The third travel agent for Essence Festival 2018 on our list is Adventure Travel Planners. Adventure Travel Planners is a full-service travel agency. They have experience coordinating travel all over the world for individuals and groups alike. They work with clients to ensure travel arrangements not only surpass expectations but meet budget constraints as well. Rest assured, the agents at Adventure Travel Planners are willing to take the time to work with each client, carefully honing each trip, and creating an experience dreams are made of. Reviewers rave about the excellent planning Travel Adventure Planners put into their travel arrangements. Andrea W. of New Orleans said, “Jay is the most awesome travel planner. He takes extra good care of his guest and adds a special touch. Would never use anyone else.” In fact, many customers loved their service so much, they repeatedly use Adventure Travel Planners for all their travel needs. Vacations At Sea has a local New Orleans, LA branch. While this agency is not unique to New Orleans, the staff at the local branch truly work with you to create the best experience possible, so Vacations At Sea is our number two travel agent for Essence Festival 2018. Not only do the agents know the New Orleans area, they work hard to provide clients with easy, frustration-free arrangements. Vacations At Sea works with your budget to help coordinate your travel experience and find an affordable, quality trip you will enjoy. Yelp reviewer, Jason P. of Boca Raton, FL claimed, “They took care of every detail and got me booked at prices I didn’t think were possible.” Many reviewers noted the courteous, informative and helpful nature of the New Orleans travel agents and highly recommended both Andrew and Roxanne. 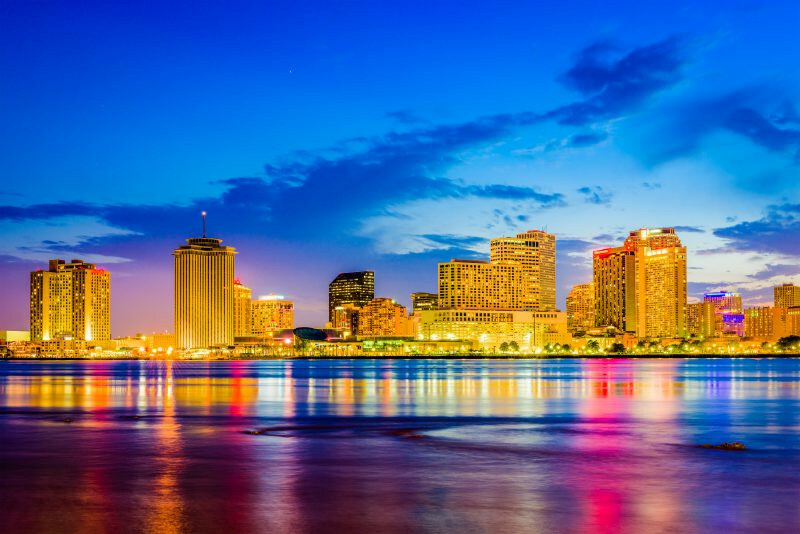 Clandestine is a New Orleans-based travel agency that strives to ensure clients visiting the area receive service that goes above and beyond expectations. Owned and operated by Kelley Troia, Clandestine works hard to provide clients with custom, full-service experiences that are unique to the New Orleans environment. This includes wedding planning, reservations, event tickets, and much more. Reviewers on Yelp cannot say enough good things about the excellent service they received when using Clandestine. Johnny C. of Miami Beach, FL wrote, “From the exclusive all-access pass she arranged for us, to the hand-picked venues, restaurants and local haunts we would never find on our own, each experience was top notch!” Many reviewers noted the amazing reactive services Clandestine was able to provide when emergencies popped up, including buying boots for an unexpectedly rainy, marshy-music festival! In addition to their agency building, Clandestine has an active social media presence. These travel agents for Essence Festival 2018 will be able to help you coordinate all the travel plans for you, but have you thought about travel plans for your personal items and festival purchases? Festiport can help you get ready for Essence festival by storing your items until the festival and shipping your items back home for you. Click here to learn more about how Festiport works! Let us know of your experience with a travel agent for Essence Festival 2018. If you have another to share, add the business information to the comments!